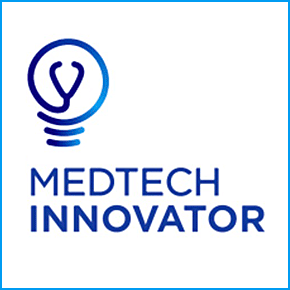 MedTech Innovator is the medical technology industry’s nonprofit global competition and accelerator for innovative medical device, digital health and diagnostic companies. Our mission is to improve the lives of patients by accelerating the growth of companies that are transforming the healthcare system. The competition includes several rounds where companies gain increasing amounts of exposure to industry leaders through online application reviews, in-person pitch sessions, and audience competitions at three conferences. The highest scoring companies from the online application review are invited to participate in regional pitch events, awarding the opportunity to present to a variety of industry-leading judges and key opinion leaders. 50 companies will be selected to participate in the MedTech Innovator Showcase and 20 companies will receive a place in the MedTech Innovator Accelerator, a four-month virtual program. All early to mid-stage medical device, diagnostic, or digital health companies are encouraged to apply.